Correction: I was informed that Pride Performance is and has not been associated with LM24 for several years. Originally Pride worked out of LM24. Another email from the person named in the incident said that he did not have to snitch on anyone, and was a little concerned by this post. And, the picture of the GT-R's in New York, the photographer told me that I was not allowed to use it, and to cease and desist using it. Ok no problem. I didn't even know that people actually lived in Vermont. However, it appears they do, and they will catch you illegally importing in cars from Canada. I know the guy they are talking about, and I know some of the cars he illegally imported. Its a shame because he also owned a MotoRex imported R33 GT-R. He got sentenced for failing to pay taxes on the imported cars. Not for the actual importation, not for not meeting EPA or DOT standards as part of his plea agreement. Like the Kaizo incident, its hardly ever on the import, its some other requirement that someone fails to meet. I have told people for years, that even if you think you are correct, you need to be fully aware of all the laws. 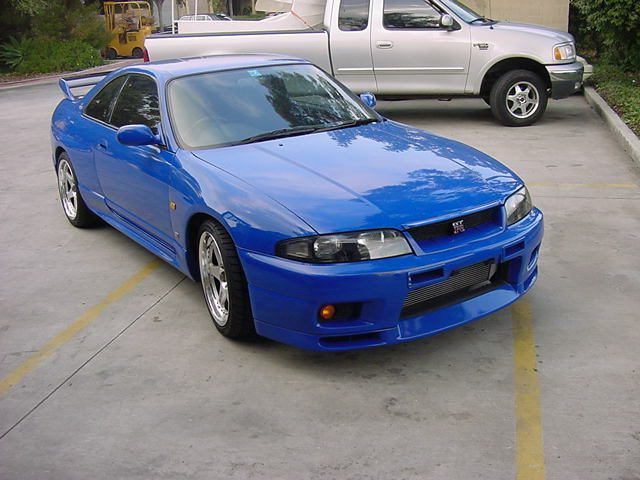 This is actually the reason that the Nissan Skyline GT-R is illegal in the US. The best bet is to wait until cars are over 25 years old, and I will help you import them to the US legally with a minimum amount of hassles. I wonder if any of the cars above were wrapped up in this? The customers may have had no idea the cars were illegally imported. Most guys say "I have a title", but sooner or later this kind of thing catches up to them. Cars have a VIN or chassis number, they have titles, they have license plates. If you have a state titled car, I would suggest that you keep looking over your shoulder. There are more ramifications coming from this conviction. Someone was calling me the snitch.... so anyone that had any dealings withLM24 should be a bit concerned right about now. A New York City man caught transporting a Japanese sports car over the Canadian border into Vermont has been sentenced for failing to report income he made off of 10 such cars. According to the U.S. Attorney’s office in Burlington, Gar Loon Lee, 35, was sentenced to 30 months probation, a fine of $25,000 and must pay outstanding taxes and penalties following his conviction for failing to file a tax return. The U.S. Attorney’s office said Lee brought 10 Japanese-made sports cars, which had steering wheels on the right-hand side and didn’t conform to national highway safety or environmental regulations, into the U.S. He was caught by U.S. Customs and Border Protection officers bringing an 11th car over the border in Highgate Springs on Sept. 24, 2009. Authorities said Lee did not report income he earned from selling the sports cars. The prosecutor was Assistant United States Attorney Timothy C. Doherty Jr. Lee was represented by defense attorney Lisa Shelkrot of the Burlington law firm Langrock Sperry & Wool.